This book caught me off guard with its beauty, the strength of its craft and the humanity of its characters. Even though it came highly recommended from a friend, I went in with a slightly embittered attitude having only just finished another King Arthur novel which I found utterly lifeless (Mary Stewart’s The Crystal Cave). 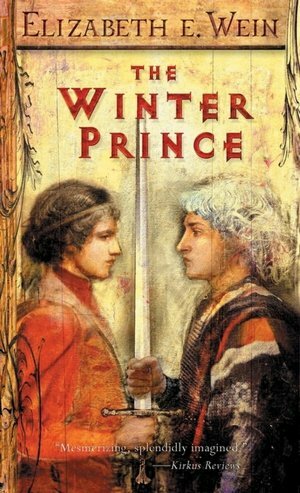 I was filled with dread at the prospect of another narrative about Arthur’s resentful son Mordred scheming for the throne, but what I encountered in Elizabeth Wein’s lushly imagined story was far more complex and far more moving than any of the versions I’ve read so far. I am overwhelmed with the desire to reread this book instantly upon finishing it. The narrative was so tightly wound and the writing so precise in its level of detail that the story spans a mere 200 pages; no word felt unnecessary. I had the experience reading this book that I always long for when reading- the entire world disappeared and my whole reality became the story. It was jarring when the book was over to return to the real world. Suffice it to say, I look forward to reading more by Elizabeth Wein! I read this because I loved Wein’s recent book Code name Verity, and this, while not quite as great, imo, was just a beautiful story. Really felt for poor Medraut. I know. Haven’t read Code name Verity, will have to check it out!